When it comes to preparing for the SAT, some methods and materials are more effective than others. Some preparation is better than no preparation. Official College Board material is better than 3rd party material. Active practice is better than passive reading or listening. The list goes on. . . Anything that makes your preparation more like the actual SAT is going to benefit you on the Saturday morning when you take it for real. Your prep should mirror test day conditions as much as possible. Sometimes students know the material, but don’t do as well as they could because they don’t know how to TAKE the test. They may know the topics, but once you add in strict timing, minimal breaks, a small desk, and the pressure of performing, they buckle. You should treat the SAT like a sport. 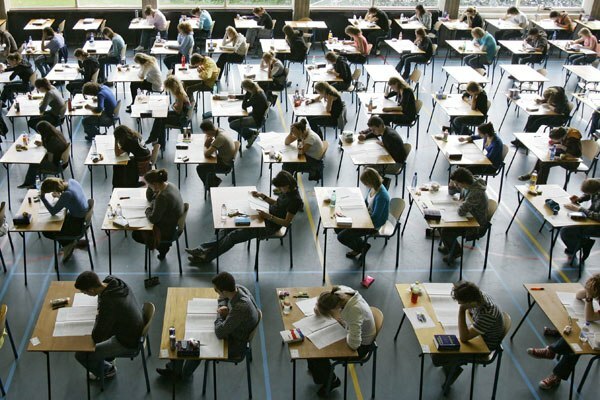 I recommend students take the SAT (early, before they need their scores) for practice to calm their nerves and get an idea of what it will be like. The College Board offers the SAT 7 times a year, which provides frequent opportunities for practice. However, sometimes the timing doesn’t work out and you may want some extra practice in between those dates. Summer is an ideal time to buckle down and focus your efforts on improving your SAT score. With this in mind, I’m offering a full-length SAT mock test on Saturday June 30th. It will be set up exactly like the actual SAT. It will be an official SAT practice test and will follow all the same timing and break restrictions as the SAT. Afterwards, you will receive your score and a breakdown of which question areas you need to improve on. Additionally, students have the option of coming back the 2nd half of the day for a review where we will cover all the top missed questions from the mock test. Register below or contact me if you have further questions. At what us recommended for students to start mock testing? Is a certain age too soon? It depends on the individual student, but I usually recommend starting PSAT/SAT prep as a sophomore. Maybe even earlier if a student is going to try for national merit. Regardless, the Mock Test is a great way to see where a student stands and what their strengths and weaknesses are.